A while back, you may have seen the graphic surveillance video of the shooting of a robber on Mother’s Day. A gunman in São Paulo, Brazil, approached a group of women with their children leaving a school function. He pointed a handgun at the group in an attempt to steal purses. In the video, you can clearly see the group of women trying to get away. One mother reaches into her purse when the criminal isn’t looking. While he’s not paying attention, she pulled a gun from her purse and shot the man in the chest at point-blank range. He immediately fell back into the street while still holding his weapon. 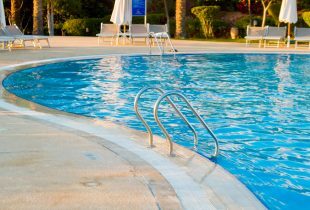 The woman who shot him continued to give verbal commands for him to drop it, however, the gunman was able to fire off one round before his gun jammed. He was taken to a local hospital where he died from his injuries. Without question, this woman saved lives with her actions that day. It’s worth noting that since Sastre was off-duty, she didn’t have her gun on her hip. Instead had it in her handbag, but she was still prepared to use it. 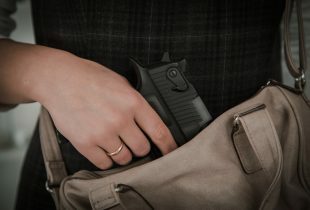 With more and more people carrying concealed these days, I want to share with you some pros and cons of carrying a firearm off your body — but still within range so you can hopefully use it if needed. Purses and bags are targets. In the story above, the criminal was focused on grabbing purses — he was clearly looking to rob the mothers as they left the school. The thing is a purse, handbag, laptop bag or really any type of bag could be a target for a criminal looking to steal. They could potentially grab the bag or cut it off your shoulder before you are able to retrieve your gun from the bag to defend yourself. Drawing takes longer. Most people are able to draw a gun from their hip faster than they could remove one from a bag. Your bag might be zipped closed or you may have to dig around in it for your firearm. On the other hand, even if it’s the middle of winter and I’m wearing a heavy coat I can still lift the coat up and draw my handgun from my hip incredibly fast. More likely to forget. When I carry my gun on my hip it stays there all day and I never remove it unless I’m going to a location where I can’t legally carry a firearm. That being said, how many times have you or a loved one forgot a purse or left a laptop bag behind at a restaurant? Unfortunately, there have also been incidents where children have reached into their mother’s purse for something and accidently fired a gun. Comfort. Perhaps the biggest reason people like to carry in a bag is because it’s more comfortable and it doesn’t matter what you wear. For instance, if it’s 100 degrees outside, you can wear shorts and a T-shirt and don’t have to worry about a holster. Also, you can wear any type of clothing and you won’t have to worry about printing. Any laptop bag or purse should be big enough that no one can see you have a firearm. Specially-designed bags. Whether it’s a purse, laptop bag or backpack, these days you can find bags that are specifically designed with a compartment for a firearm. These bags often have locking zippers as well as straps to keep the firearm in place while you’re on the move. Another option for carrying off your body is wearing a fanny pack. I realize these aren’t as stylish as they were in the ‘80s and ‘90s, but they are small and pretty simple to draw from. Shoot from the bag. If you do every carry a firearm in a bag, you need to practice shooting from the bag. Of course, I recommend dry fire practicing this, but it’s something you should always be prepared to do in a real-life situation. 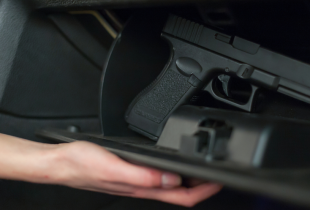 While most criminals will try to steal your entire purse, you could potentially act like you were giving them your wallet while really reaching in and firing your gun. Remember, whether you carry a gun in your bag or on your hip you need to practice shooting immediately even if you don’t have time to punch out to your full shooting position. In my opinion, carrying a firearm on your body is still the number one option when it comes to concealed carry. However, I realize some people aren’t going to do that. In other words, if it comes down to carrying a gun in a bag or not carrying one at all, then consider carrying your firearm in a bag. Just make sure the firearm is secure from criminals and children. This “best of” edition of the Weekly Drop is dedicated to spy gadgets — voice recorders, hidden cameras, covert self-defense tools and more. Meta-Description: This “best of” edition of the Weekly Drop is dedicated to spy gadgets — voice recorders, hidden cameras, covert self-defense tools and more. Now, you probably aren’t roaming the streets of Iraq or visiting villages in Afghanistan (I hope). But here are some techniques you can apply if you are walking or driving the streets of your city and think you have a tail. In Part II, you’ll discover 10 ways to protect your home from an unruly mob… nine ways to ensure your children or grandchildren stay safe even if you get separated… and one of the most underrated preps you can do right now that will make your life a whole helluva lot easier in an emergency. If you are in the car traveling, you still want to be able to quickly access your gun in case you need it. If you have to leave it in the car, you should absolutely make sure it’s secured and out of sight. Read on for specific recommendations on concealed carry in your vehicle. 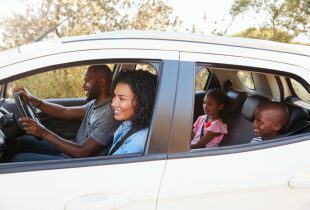 Before you embark on a road trip this summer, there are a few aspects of car safety you should take into account. In today’s “best of” edition of the Weekly Drop, you’ll discover several ways to stay safe on America’s roadways. 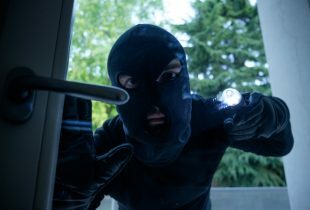 The bottom line is a good door is your home’s first line of defense against brazen criminals. 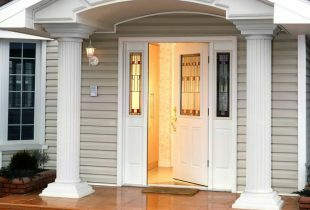 This is why I want to share some stronger options for your front door. These days, identity theft is so easy to pull off that just about any thug can get in the game. And the drug gangs are taking full advantage of that. 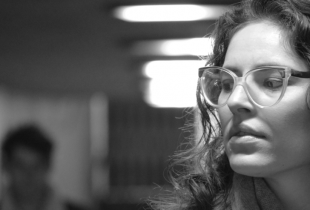 Use these strategies to keep criminal hands off your identity. When Paul retired from the police force, he thought his days of hunting criminals were over. 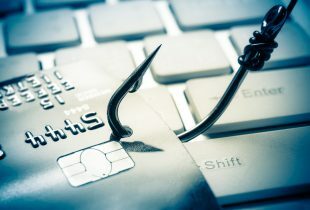 But just two years later, the 67-year-old was being personally targeted by an identity thief… and it made his life a living hell.